Many people see they are getting older when they look in the mirror, but they often overlook how much a sagging or wrinkled forehead adds to their aging appearance. By choosing a brow lift, Dr. Garcia’s patients can tighten and lift their forehead skin while raising their eyebrows, giving them a more refreshed and youthful appearance. At Garcia Plastic & Hand Surgery, Dr. Garcia performs a brow lift to correct a number of trouble spots that can show up on the brow line and forehead. For instance, horizontal lines across your forehead can make you look much older than you are. Also, furrows between your eyebrows might make you look angry, tired, or sad. You deserve to look as happy and satisfied with your life as you feel. Dr. Garcia begins this procedure by making incisions a few inches behind the hairline, roughly along where headphones would sit on the scalp. In addition to lifting the forehead skin and eyebrows, some of the muscle tissue is altered in order to create a smoother brow appearance. Dr. Garcia advises patients to take it easy for a few days after the procedure and follow instructions for caring for the incision site. Most patients return to work in about a week to 10 days. Brow lift is often combined with facelift and eyelid surgery. At your consultation, Dr. Garcia can answer your questions about a brow lift and tell you more about what makes him a trusted plastic surgeon in the Saratoga – Glens Falls region. Learn about any of the other cosmetic surgery and medical spa procedures he performs, such as breast enlargement, BOTOX® Cosmetic or Juvederm. 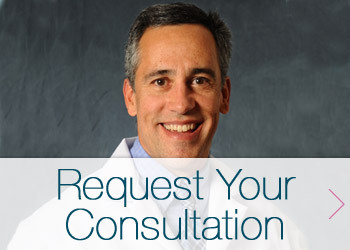 Request a consultation by filling out the form below or call (518) 793-0475 today. Medical Website Design & SEO by Mannix Marketing, Inc.